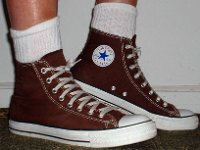 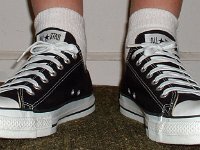 Photo gallery showing how socks available from this website look with different pairs of chucks. 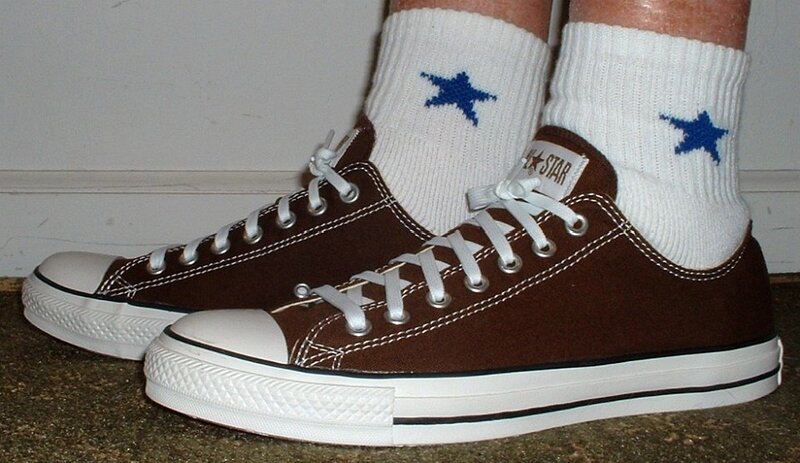 1 Socks for Your Chucks White crew sock with chocolate high tops, front view. 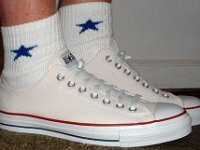 2 Socks for Your Chucks White crew socks with chocolate high tops, left side view. 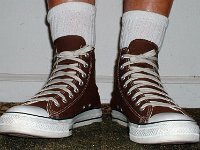 3 Socks for Your Chucks Crew socks with chocate high tops, right side view. 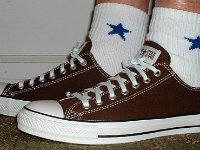 4 Socks for Your Chucks Crew socks with chocolate high tops, rear view. 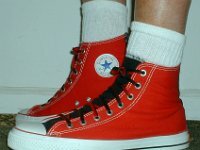 5 Socks for Your Chucks Crew socks with red and black 2-tone high tops, front view. 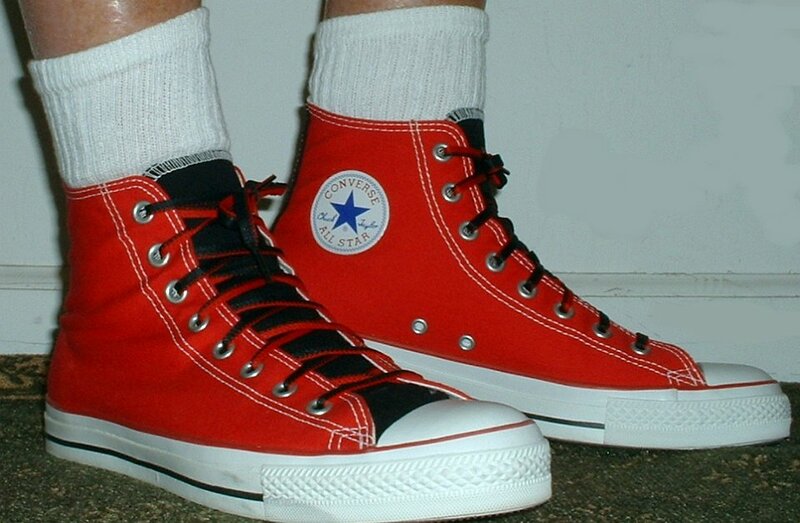 6 Socks for Your Chucks Crew socks with red and black 2-tone high tops, left side view. 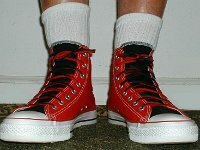 7 Socks for Your Chucks Crew socks with red and black 2-tone high tops, right side view. 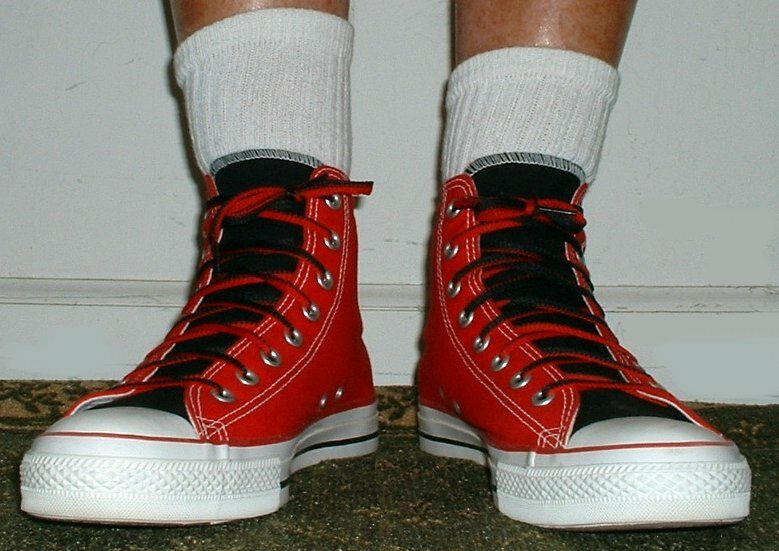 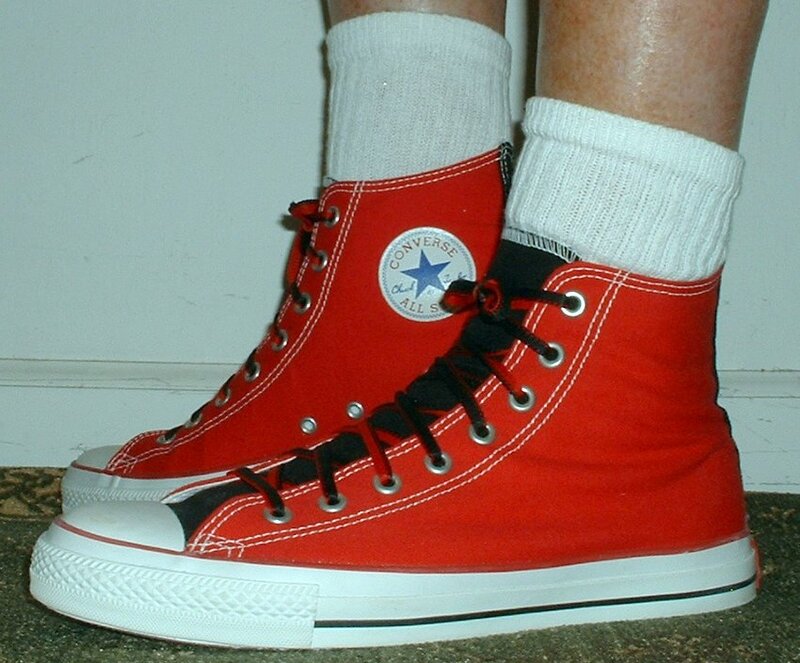 8 Socks for Your Chucks Crew socks with red and black 2-tone high tops, rear view. 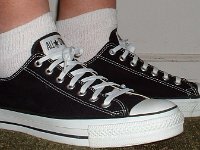 9 Socks for Your Chucks Crew socks with black low cuts, front view. 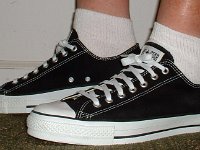 10 Socks for Your Chucks Crew socks with black low cuts, right side view. 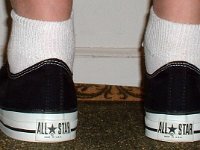 11 Socks for Your Chucks Crew socks with black low cuts, left side view. 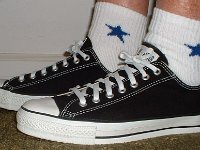 12 Socks for Your Chucks Crew socks with black low cuts, rear view. 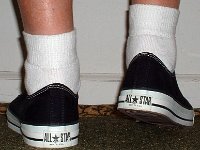 13 Socks for Your Chucks Quarter socks with grey toes and heels worn with black low cuts, front view. 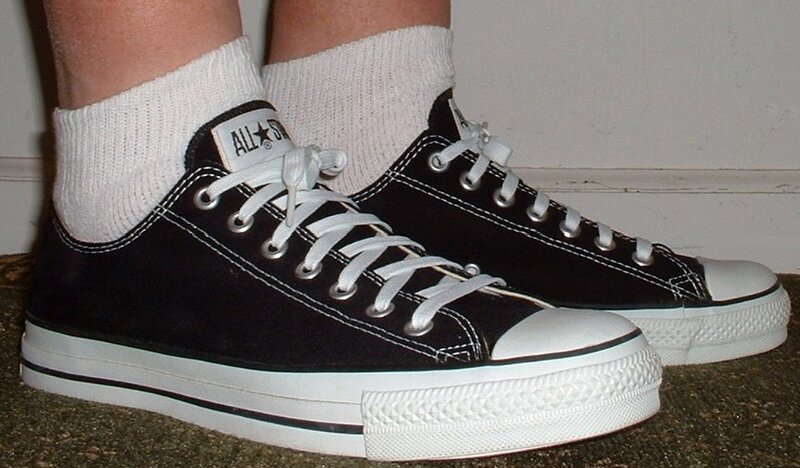 14 Socks for Your Chucks Quarter high socks worn with black low cuts, right side view. 15 Socks for Your Chucks Quarter high socks with grey toe and heel worn with black low cuts, left side view. 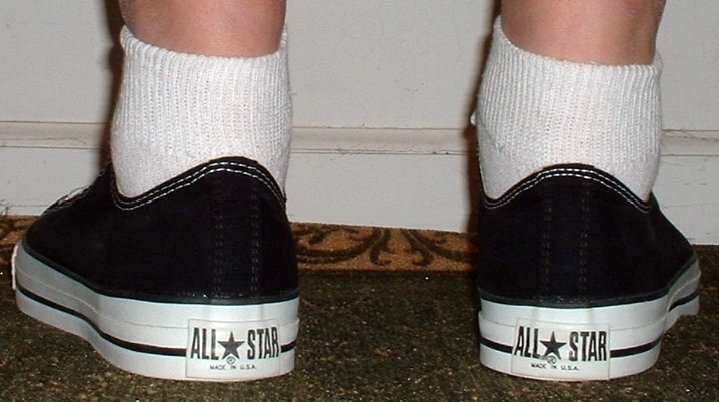 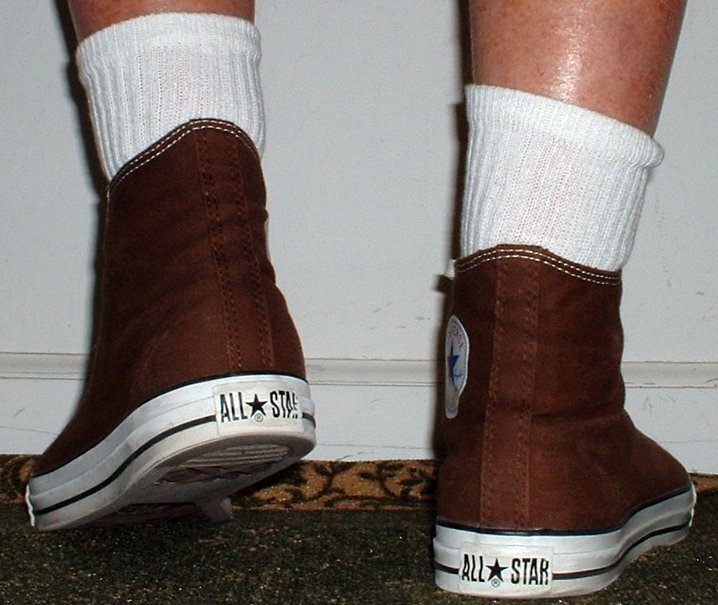 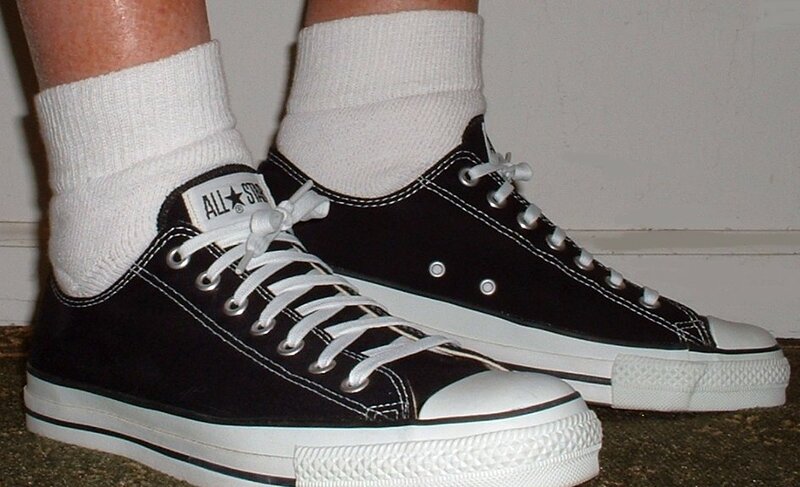 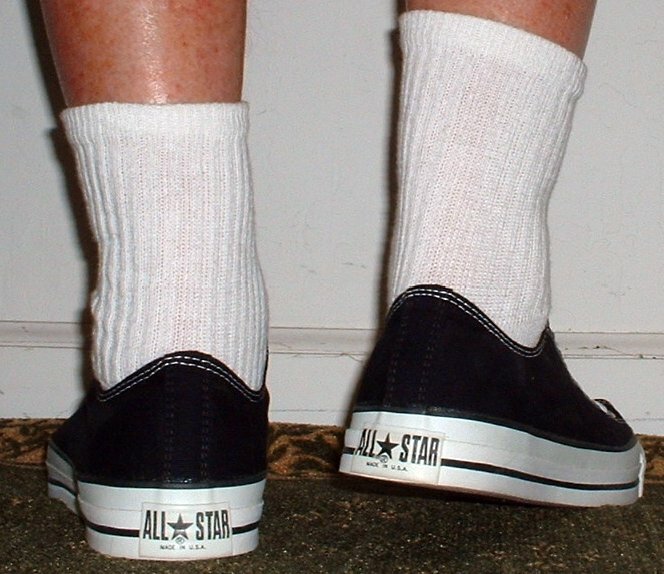 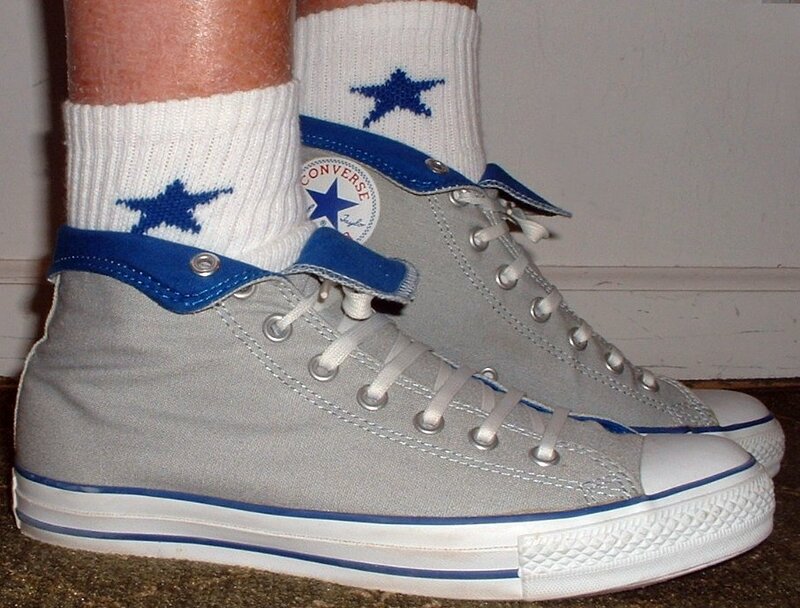 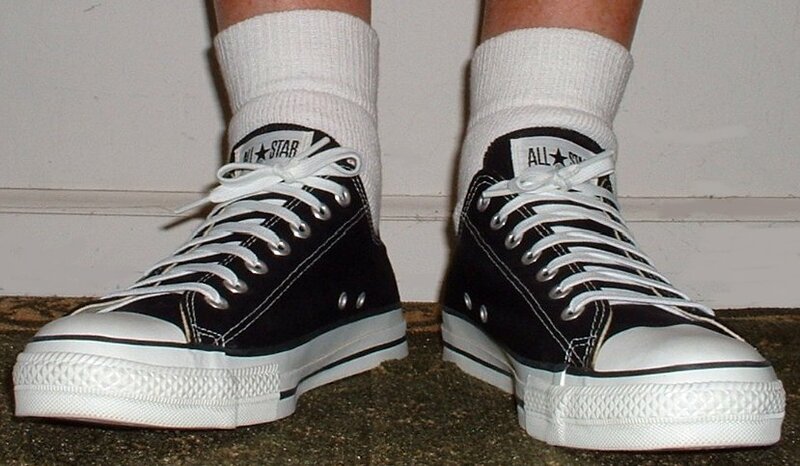 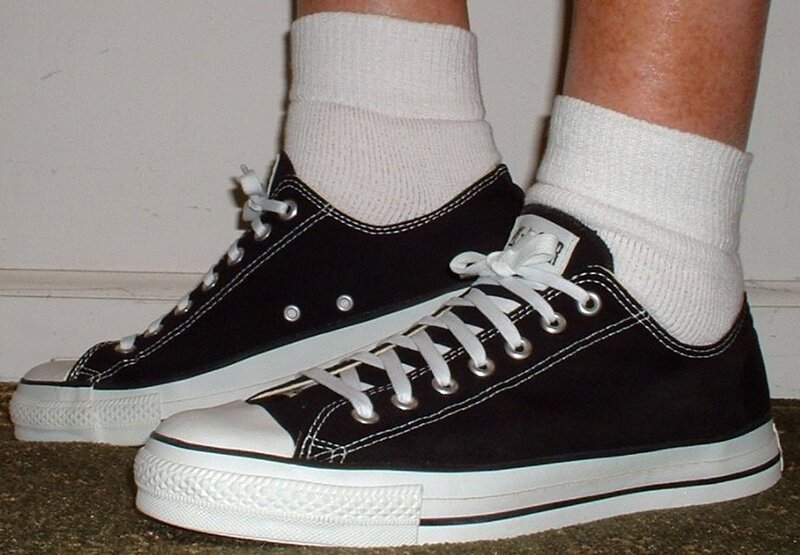 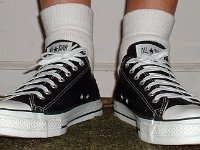 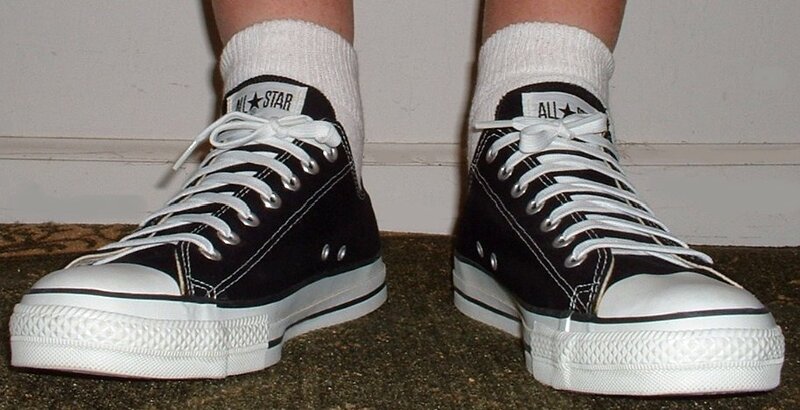 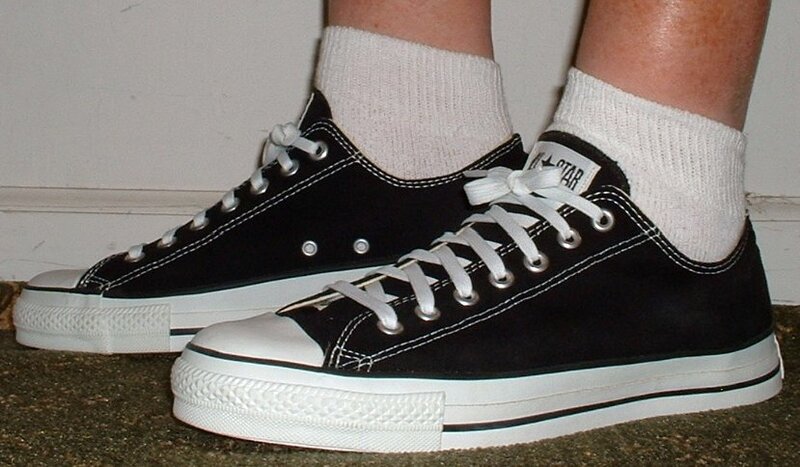 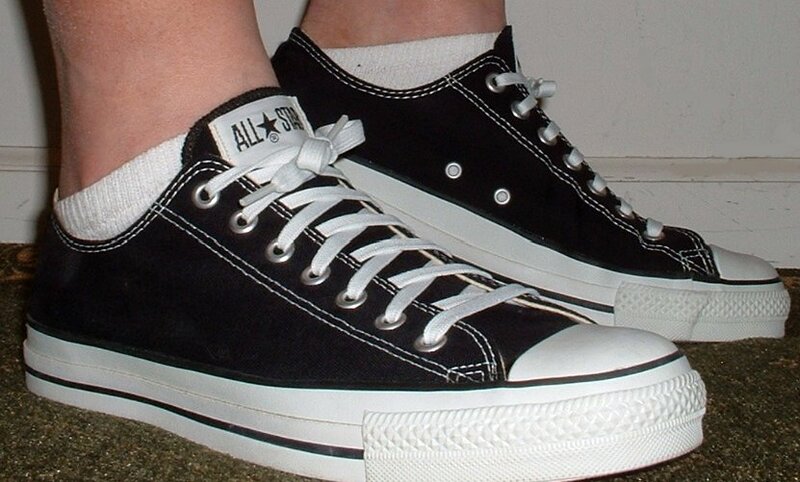 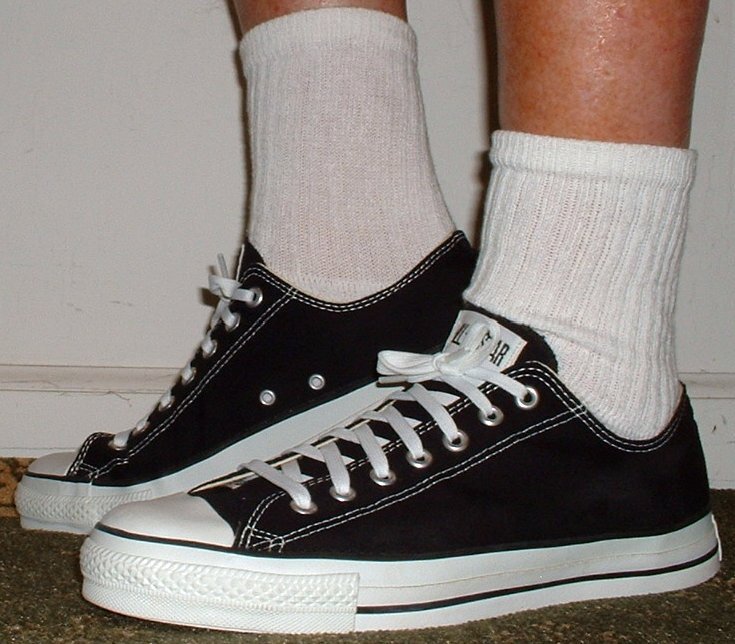 16 Socks for Your Chucks Quarter high socks with grey toe and heel worn with black low cuts, rear view. 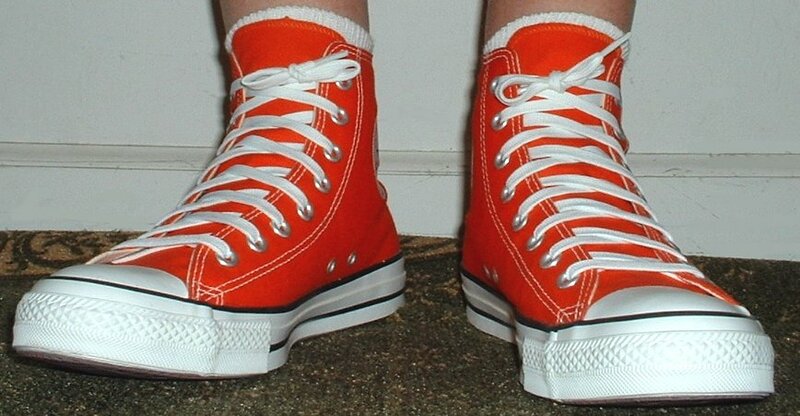 17 Socks for Your Chucks Quarter high socks with grey toe and heel worn with orange high tops, front view. 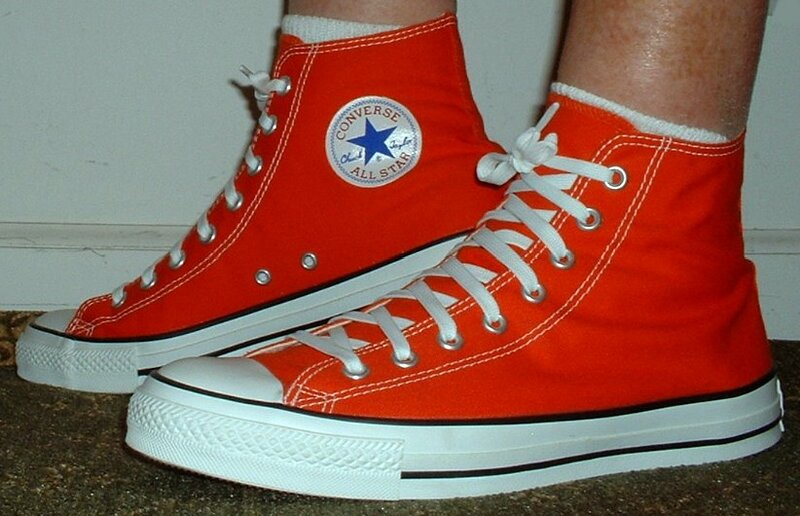 18 Socks for Your Chucks Quarter high socks with grey toe and heel worn with orange high tops, right side view. 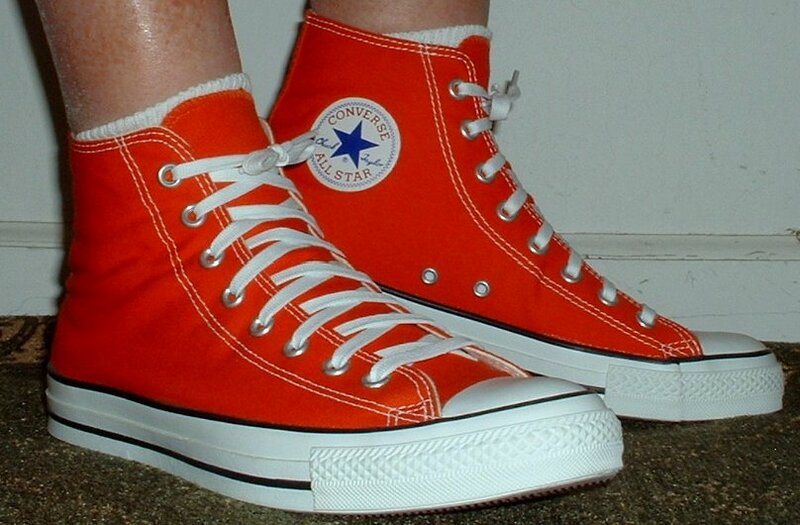 19 Socks for Your Chucks Quarter high socks with grey toe and heel worn with orange high tops, left side view. 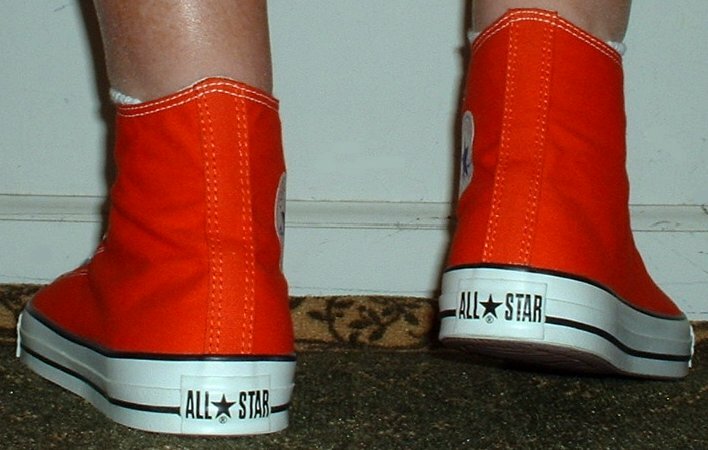 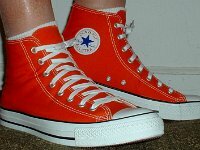 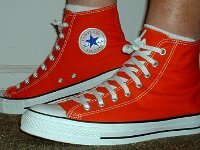 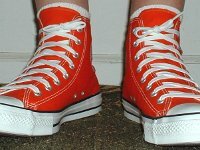 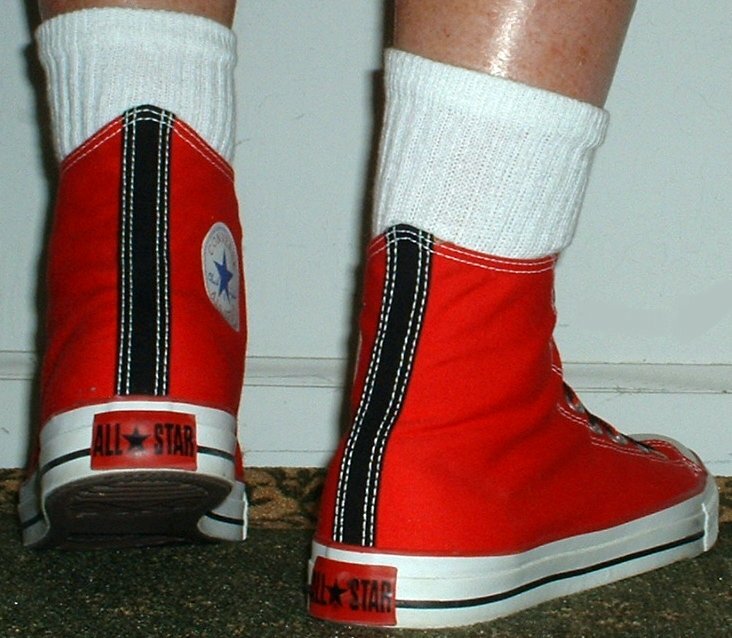 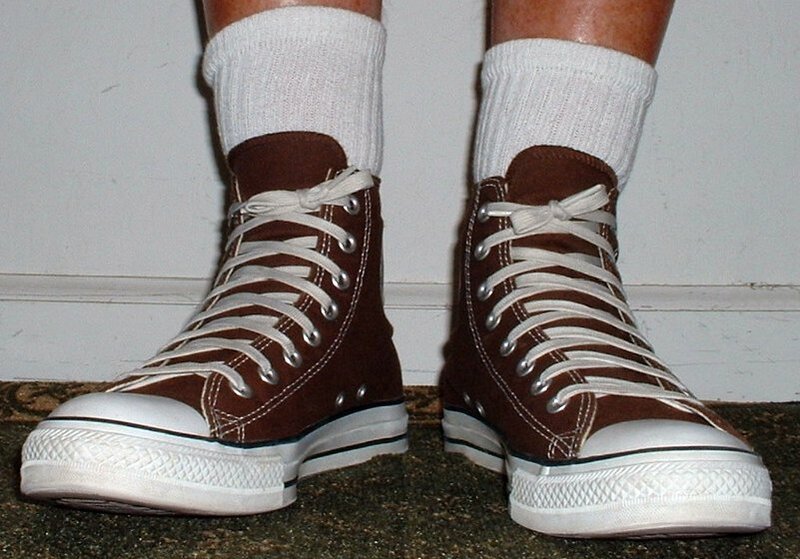 20 Socks for Your Chucks Quarter high socks with grey toe and heel worn with orange high tops, rear view. 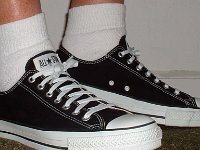 21 Socks for Your Chucks No show socks worn with black low cuts, front view. 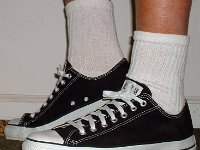 22 Socks for Your Chucks No show socks worn with black low cuts, left side view. 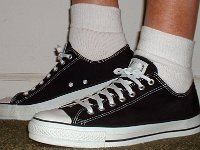 23 Socks for Your Chucks No show socks worn with black low cuts, right side view. 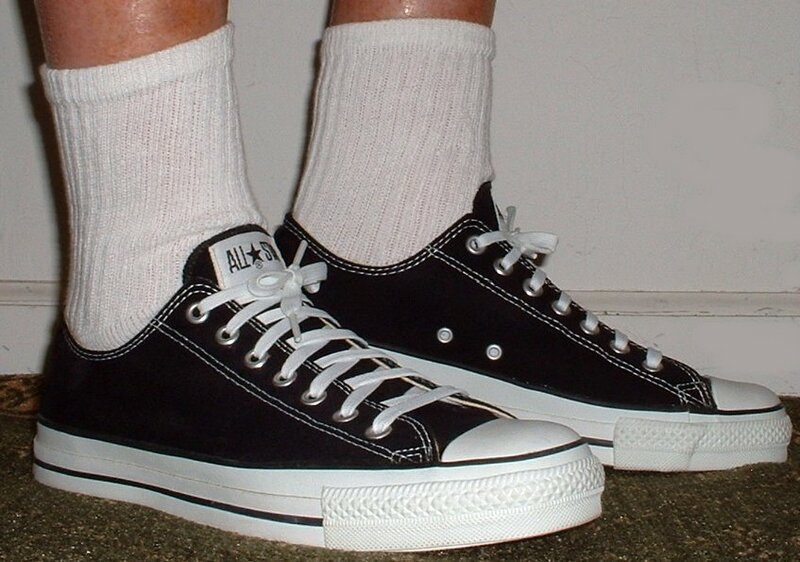 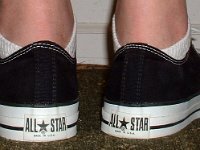 24 Socks for Your Chucks No show socks worn with black low cuts, rear view. 25 Socks for Your Chucks No show socks worn with navy blue high tops, front view. 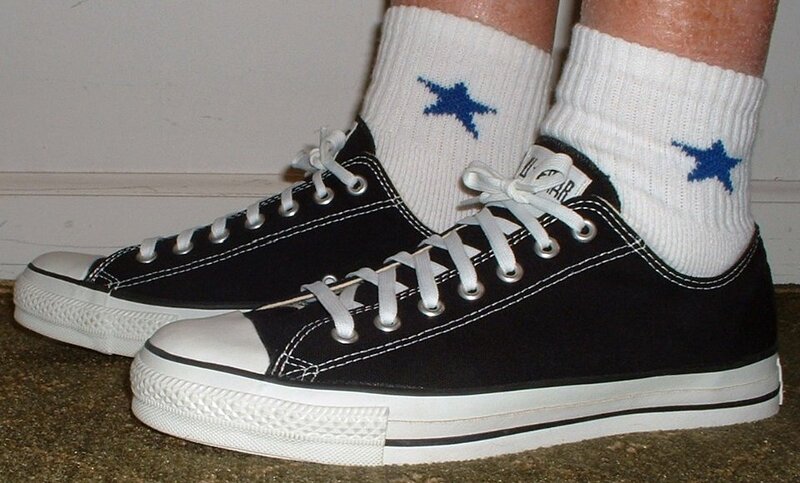 26 Socks for Your Chucks No show socks worn with navy blue high tops, left side view. 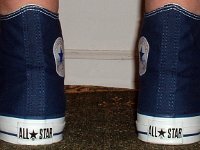 27 Socks for Your Chucks No show socks worn with navy blue high tops, right side view. 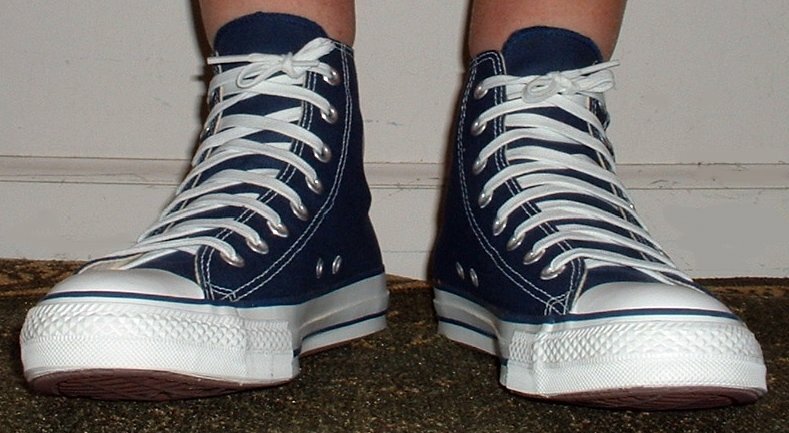 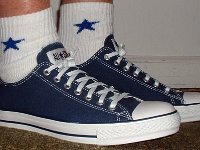 28 Socks for Your Chucks No show socks worn with navy blue high tops, rear view. 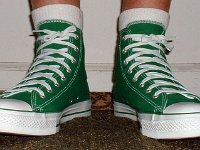 29 Socks for Your Chucks All white quarter high socks worn with Celtic green high tops, front view. 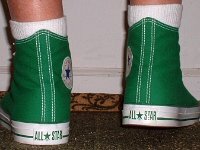 30 Socks for Your Chucks All white quarter high socks worn with Celtic green high tops, left side view. 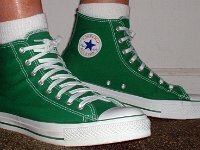 31 Socks for Your Chucks All white quarter high socks worn with Celtic green high tops, right side view. 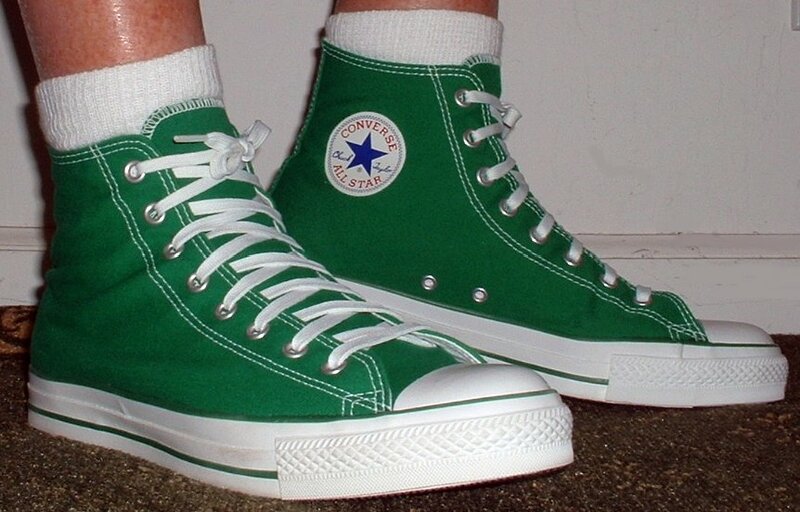 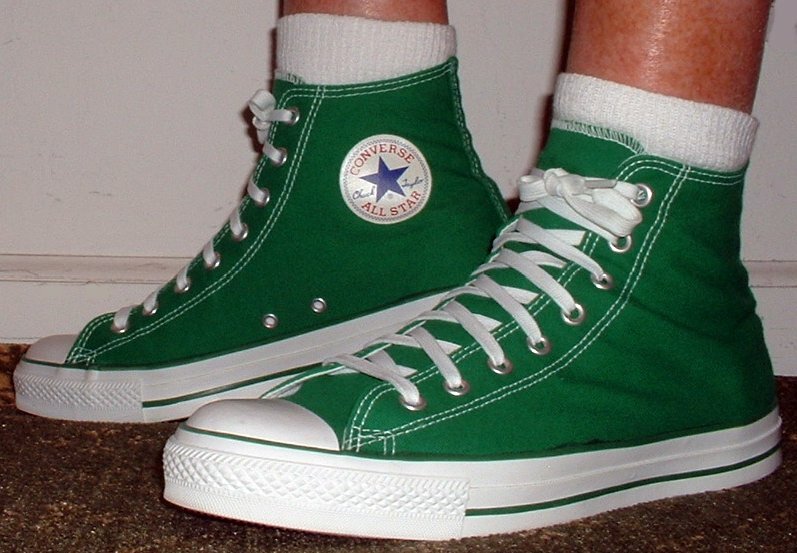 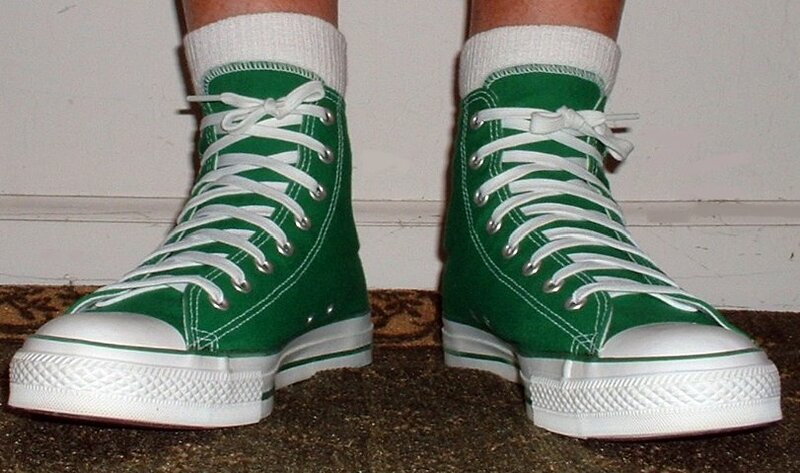 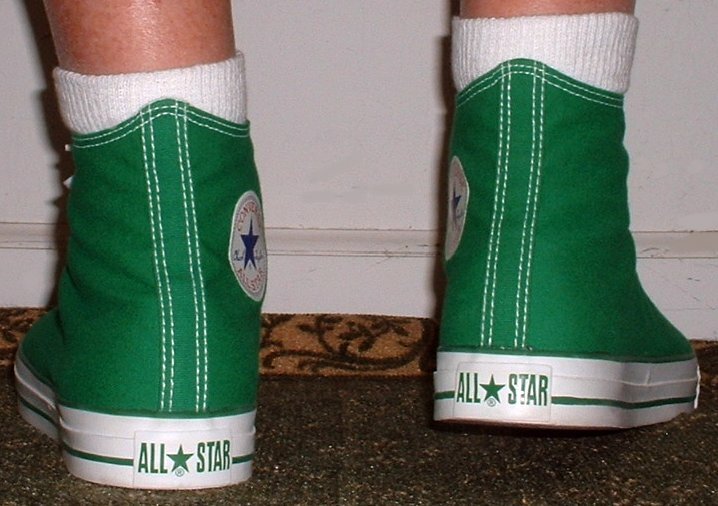 32 Socks for Your Chucks All white quarter high socks worn with Celtic green high tops, rear view. 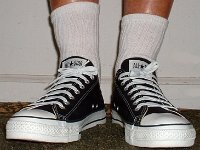 33 Socks for Your Chucks All white quarter high socks worn with black low cuts, front view. 34 Socks for Your Chucks All white quarter high socks worn with black low cuts, right side view. 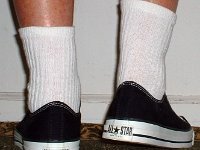 35 Socks for Your Chucks All white quarter high socks worn with black low cuts, left side view. 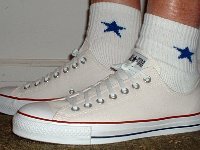 36 Socks for Your Chucks All white quarter high socks worn with black low cuts, rear view. 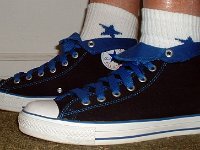 37 Socks for Your Chucks Rolled down black and royal high tops with white and royal quarter high embroidered star socks. 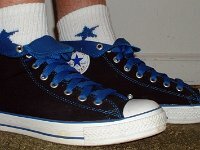 38 Socks for Your Chucks Rolled down black and royal high tops with white and royal quarter high embroidered star socks. 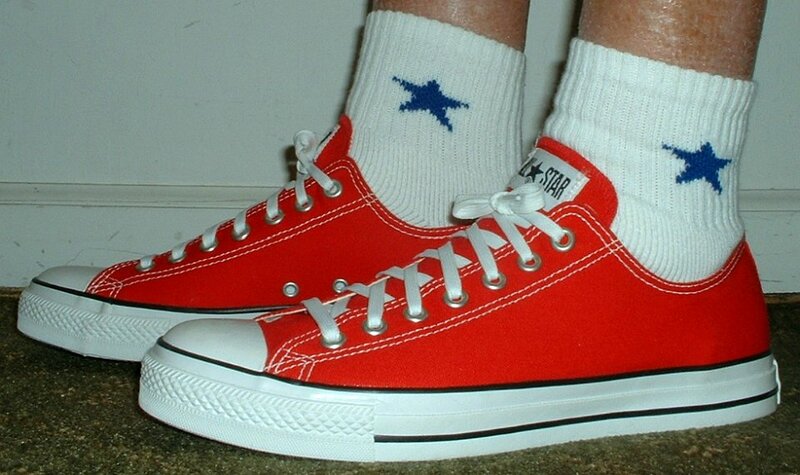 39 Socks for Your Chucks Wearing red low cut chucks with white and royal quarter high embroidered star socks. 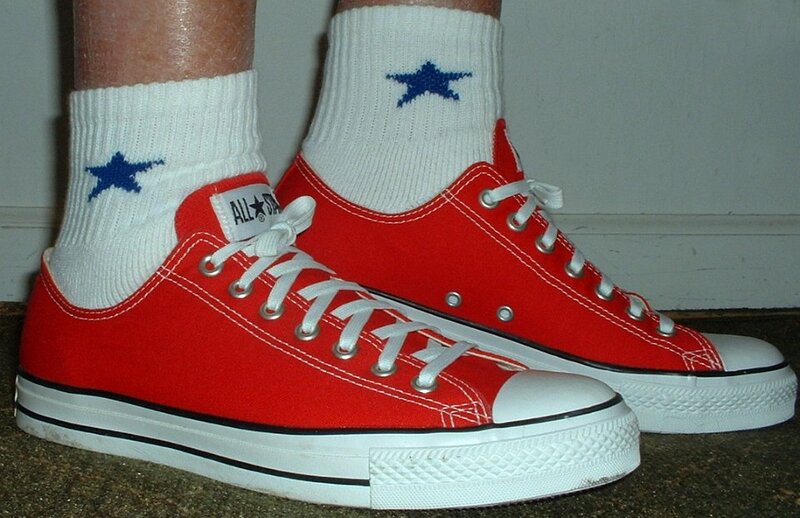 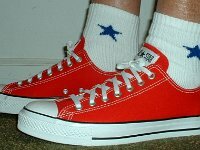 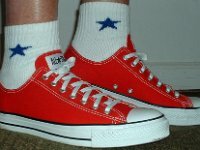 40 Socks for Your Chucks Wearing red low cut chucks with white and royal quarter high embroidered star socks. 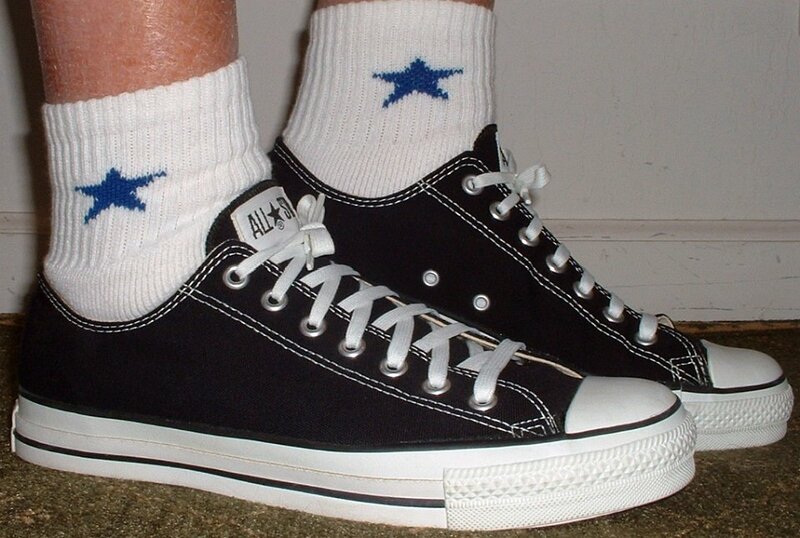 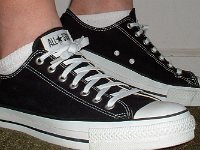 41 Socks for Your Chucks Wearing black low cut chucks with white and royal quarter high embroidered star socks. 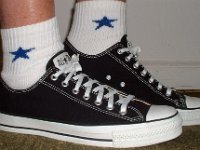 42 Socks for Your Chucks Wearing black low cut chucks with white and royal quarter high embroidered star socks. 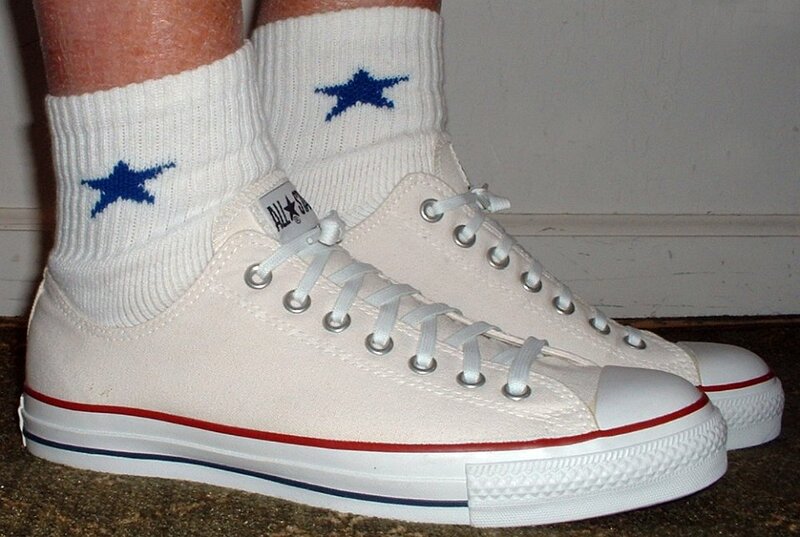 43 Socks for Your Chucks Wearing white low cut chucks with white and royal quarter high embroidered star socks. 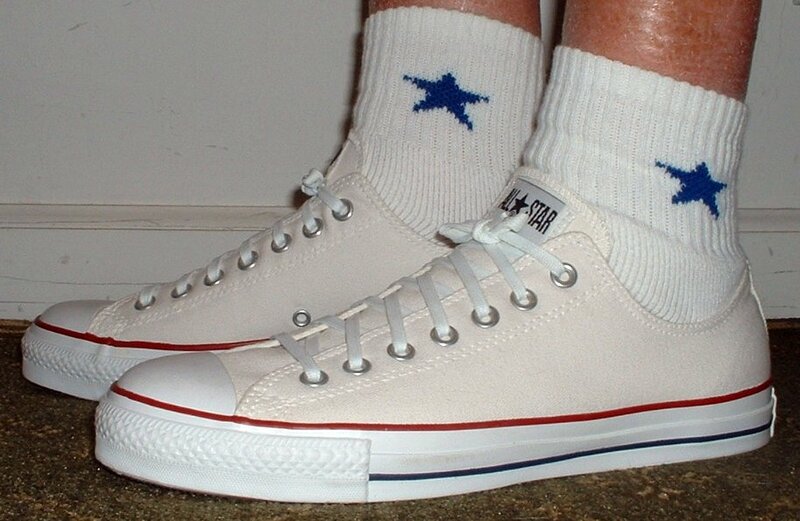 44 Socks for Your Chucks Wearing white low cut chucks with white and royal quarter high embroidered star socks. 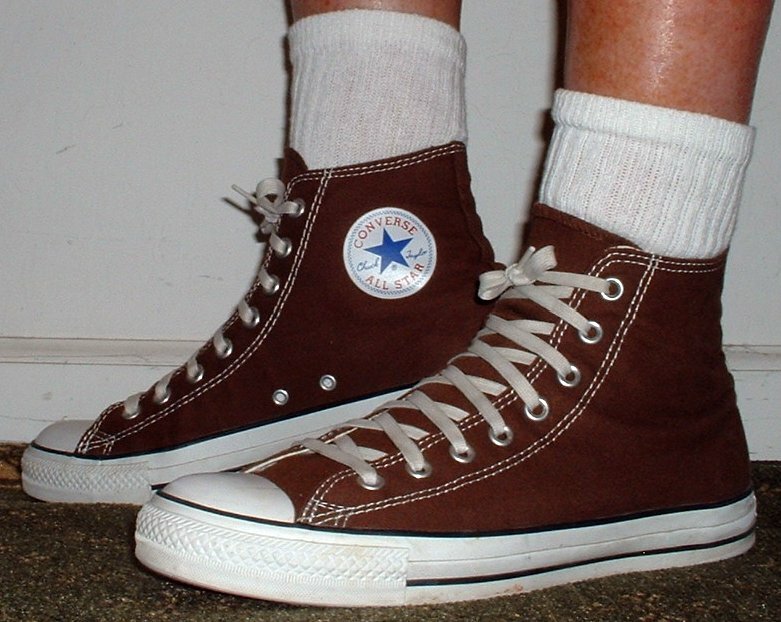 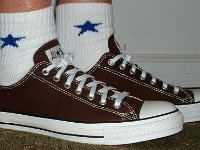 45 Socks for Your Chucks Wearing chocolate brown low cut chucks with white and royal quarter high embroidered star socks. 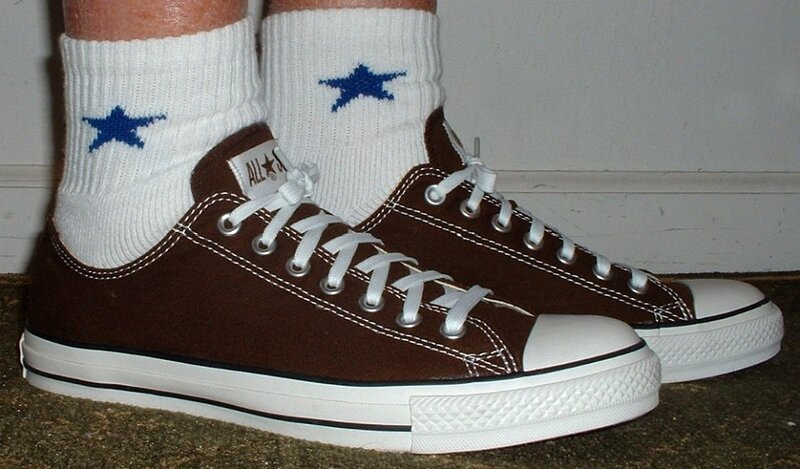 46 Socks for Your Chucks Wearing chocolate brown low cut chucks with white and royal quarter high embroidered star socks. 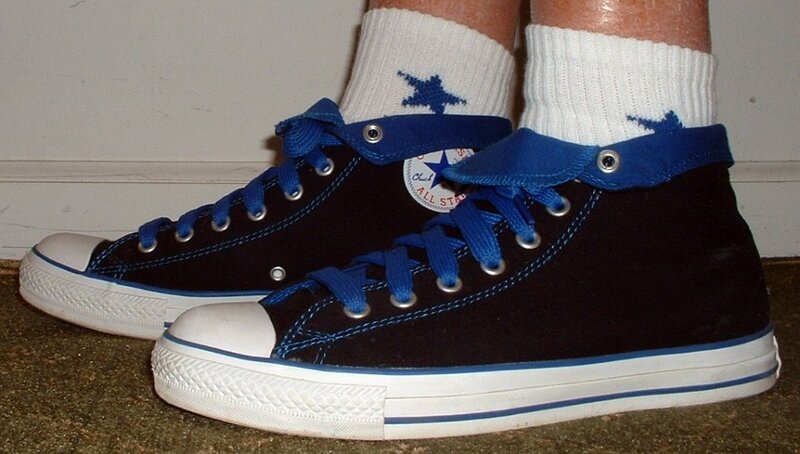 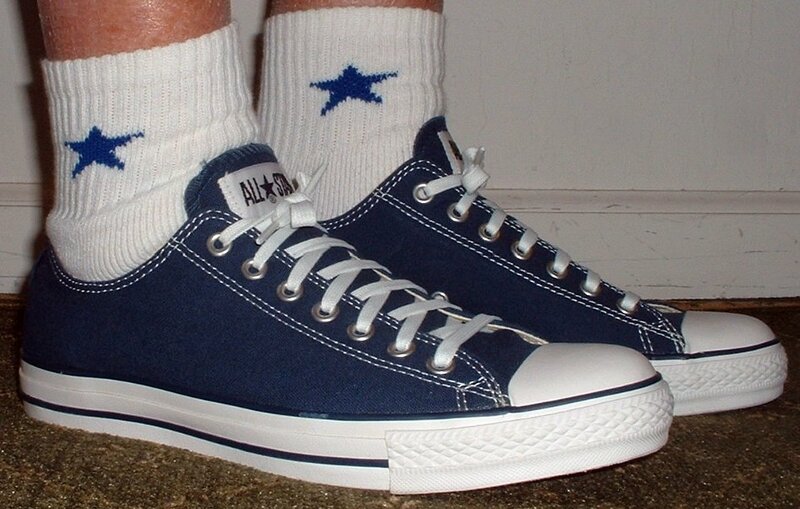 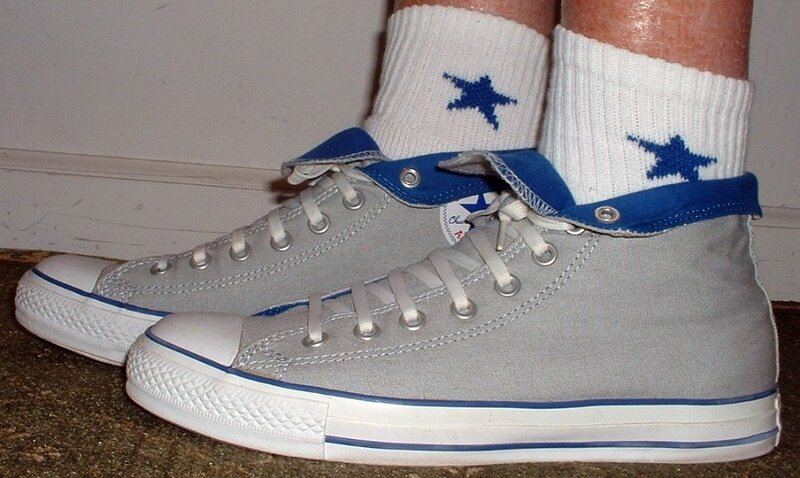 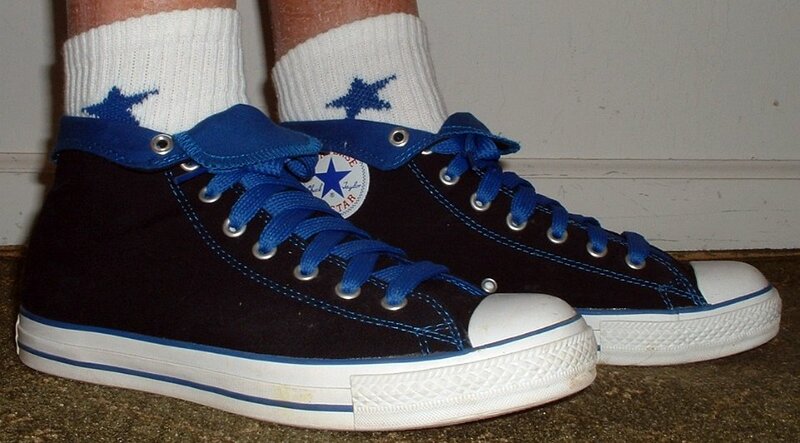 47 Socks for Your Chucks Wearing navy blue low cut chucks with white and royal quarter high embroidered star socks. 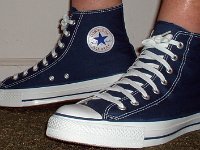 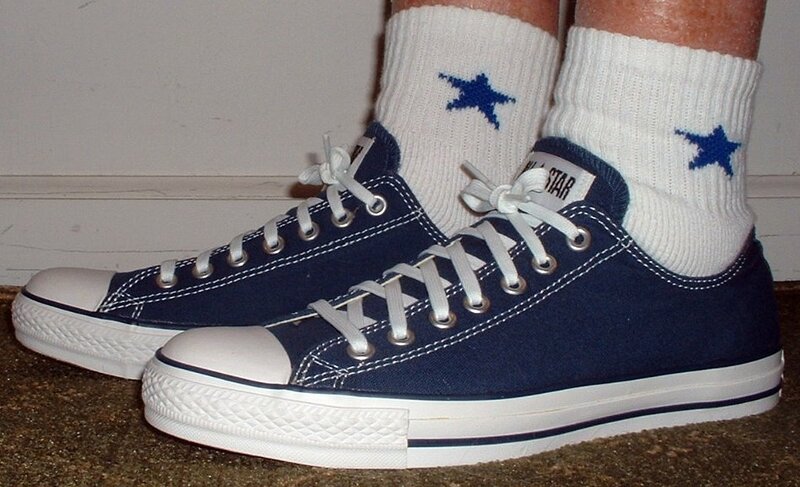 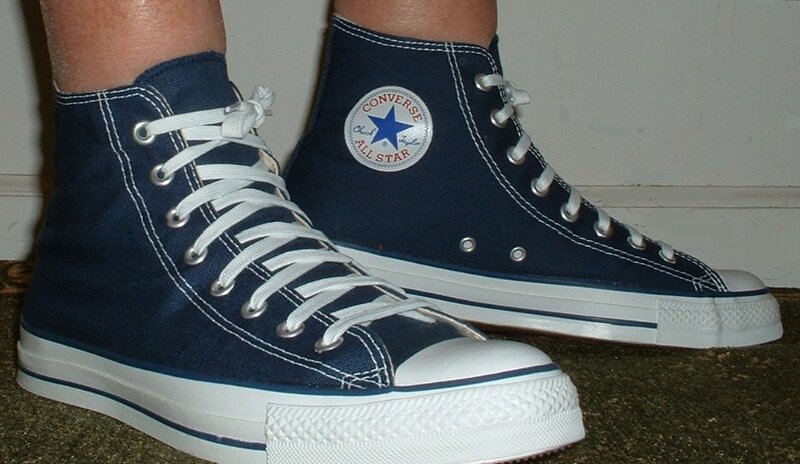 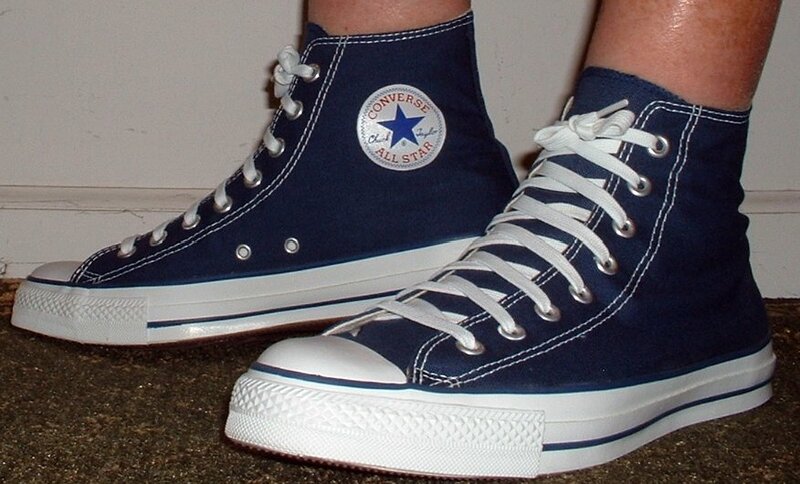 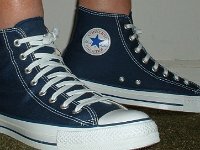 48 Socks for Your Chucks Wearing navy blue low cut chucks with white and royal quarter high embroidered star socks. 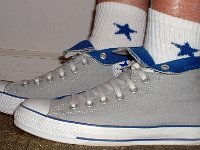 49 Socks for Your Chucks Rolled down gray and royal high tops with white and royal quarter high embroidered star socks. 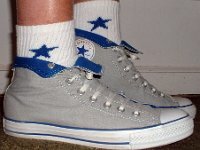 50 Socks for Your Chucks Rolled down gray and royal high tops with white and royal quarter high embroidered star socks. 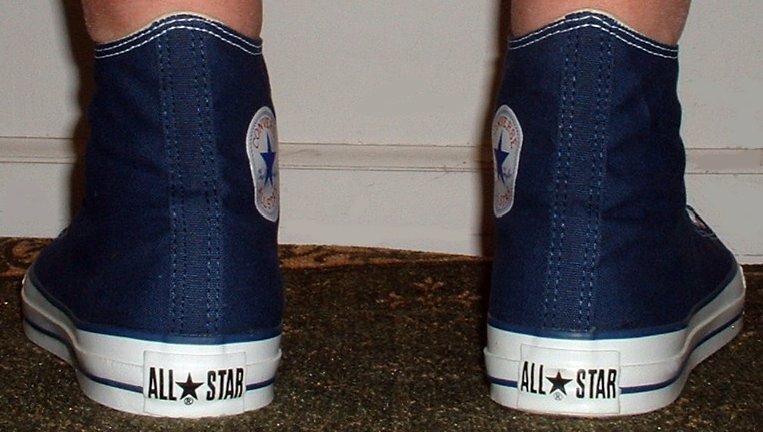 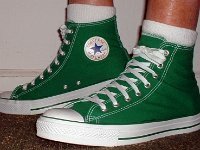 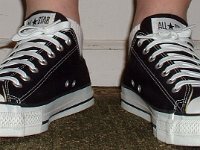 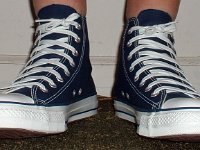 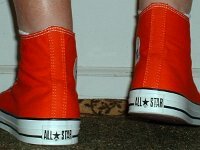 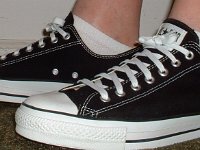 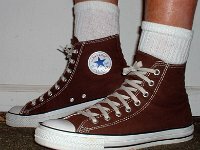 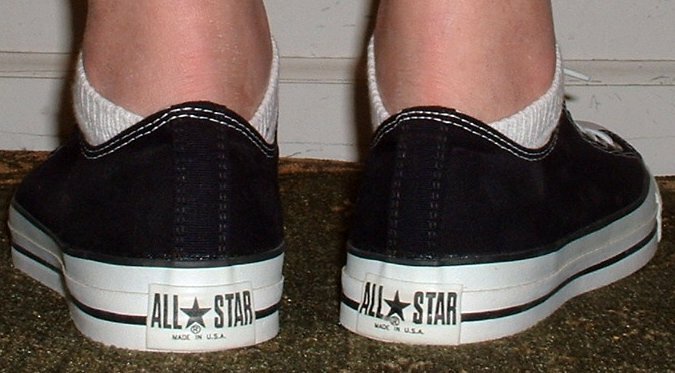 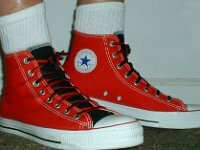 This photo gallery shows how five different styles of socks available for purchase from The ChucksConnection online store look when worn with high top or low cut chucks.